Join OBI at the 2019 Annual Meeting! This marks a special year for OBI, as we honor Sen. Betsy Johnson with the first Jobs Champion Award. Sen. Johnson’s work in establishing the Oregon Manufacturing Innovation Center in Scappoose shows her commitment to building Oregon’s workforce. OBI is celebrating her accomplishments in the Legislature, and her on-the-ground efforts to ensure Oregon has a healthy economic future. 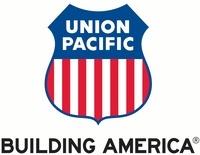 Other speakers include Governor Kate Brown, House Speaker Tina Kotek and a panel of Oregon business leaders. 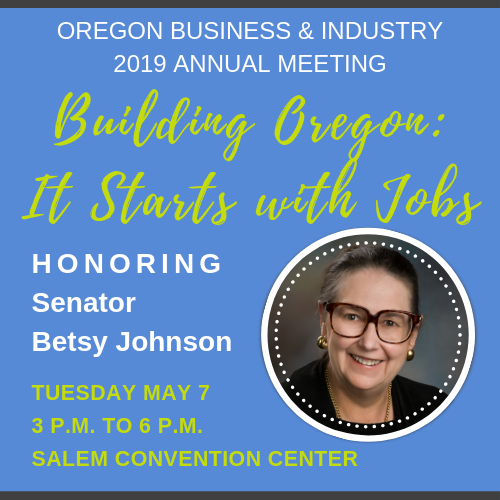 We invite all our members to join us as we bring together economic and civic leaders to discuss how business builds great Oregon jobs.